Knowledge “that Jesus Christ is the Son of God, and that he was crucified for the sins of the world” (D&C 46:13). 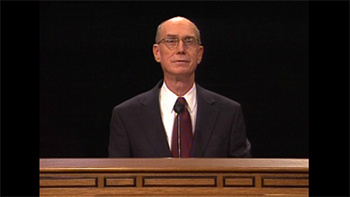 The capacity to believe the words of those who testify of Jesus Christ (see D&C 46:14). Knowledge of “the differences of administration” (D&C 46:15; see also 1 Corinthians 12:5). This gift is used in administering and leading the Church. Knowledge of “the diversities of operations,” which helps individuals discern whether a teaching or influence comes from God or from some other source (D&C 46:16; see also 1 Corinthians 12:6–7). The gift of “the word of wisdom” (1 Corinthians 12:8; D&C 46:17). This does not refer to the law known as the Word of Wisdom (see D&C 89). Rather, it is the gift of wisdom—the ability to use knowledge in righteous ways. The gift of “the word of knowledge” (1 Corinthians 12:8; D&C 46:18). 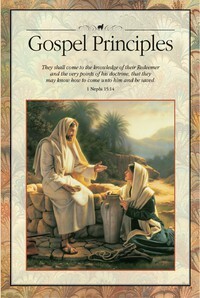 The ability to teach by the power of the Holy Ghost (see Moroni 10:9–10; see also D&C 46:18). The gift of faith (see 1 Corinthians 12:9; Moroni 10:11). The gift “to have faith to be healed” (D&C 46:19). 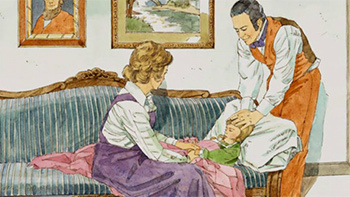 The gift “to have faith to heal” (D&C 46:20; see also 1 Corinthians 12:9; Moroni 10:11). “The working of miracles” (1 Corinthians 12:10; D&C 46:21; see also Moroni 10:12). The gift of prophecy (see 1 Corinthians 12:10; Moroni 10:13; D&C 46:22). The Apostle John taught that “the testimony of Jesus is the spirit of prophecy” (Revelation 19:10). “The beholding of angels and ministering spirits” (Moroni 10:14). “Discerning of spirits” (1 Corinthians 12:10; D&C 46:23). The gift to speak in different languages, or tongues (see 1 Corinthians 12:10; Moroni 10:15; D&C 46:24). The gift of “the interpretation of tongues” (1 Corinthians 12:10; D&C 46:25; see also Moroni 10:16). These spiritual gifts and others listed in the scriptures are only some examples of the many gifts of the Spirit. The Lord blesses His children in many ways according to their faithfulness and their needs and the needs of those they serve.